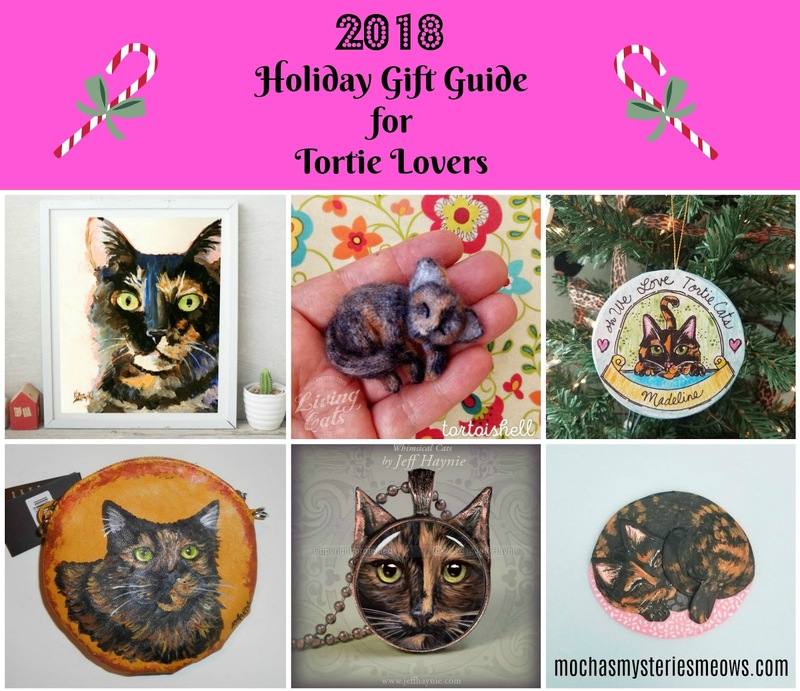 For the past two years I've created gift guides for tortie lovers which have ended up being some of our most viewed posts ever! Seems there are lots of tortie fanatics out there like me upset by the lack of our favorite cats on wearables, jewelry and home decor. These are great picks! Binga gives her paw of approval. Looks like some great choices! Wow, you found some great gifts, Mudpie! Your purrfect gift guides are getting me even more in the Christmas spirit! The tortie in that first painting has markings similar to yours, Mudpie, and so its my favorite. Purrs! Wow! These are spectacular! Any Tortie lover would love them. Great finds! Thanks for sharing them. This is an excellent gift guide for tortie lovers. We love the great choices that you shared. Hope you are all ready for a great Thanksgiving this week. Thanks for the share. Have a wonderful day, Mudpie. Tortitude abounds in these gifts! That wool pin is adorable! Another score for you! I've heard so many people say torties are ugly - but they are anything but. And with a heart like Mudpie's ... just plain perfect. Great finds! My favorite is the portrait.